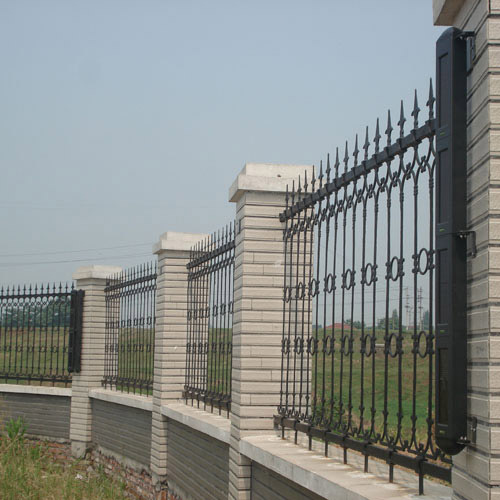 Security protection for surrounds of some buildings are very important. 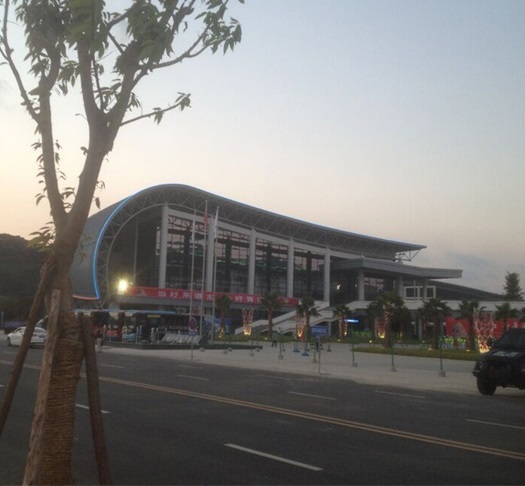 The buildings include community area, exhibition hall, school, airport, villa, stock, farm and enterprise etc. Security service center monitors numerous users of an area. 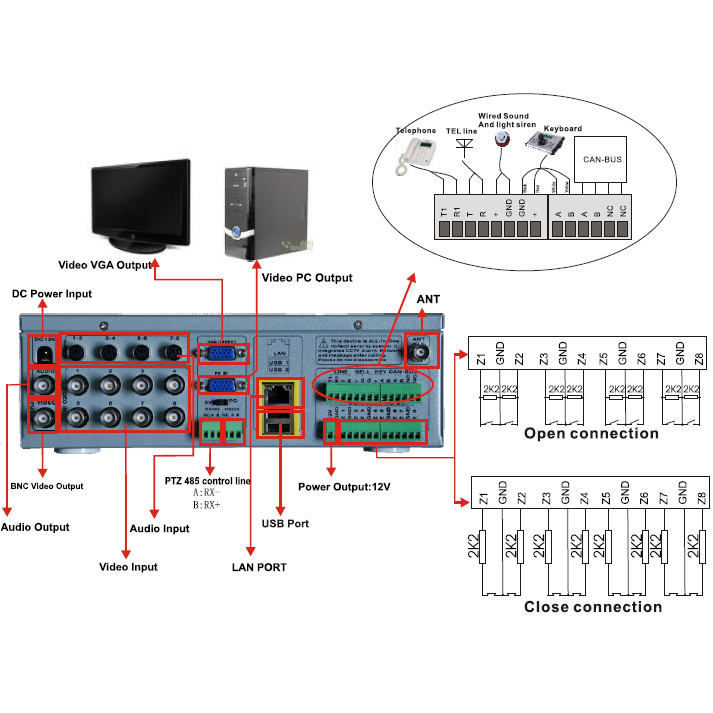 Integrated Security Equpment Video Alarm server is the best selection. 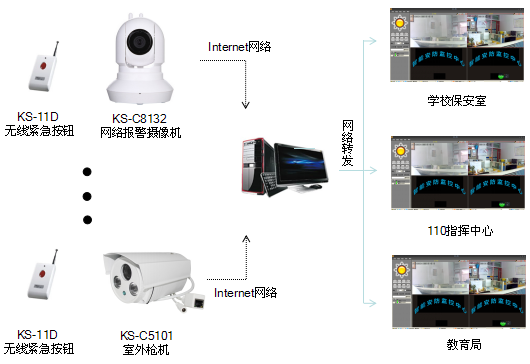 Using this integrated alarm equipment, you can easy set up security service center with PC monitoring and Software management with Surveillance and Alarm Service. Villa or house is always with large open areas and easy for intrusion. So, it requires more strict protection from outdoor to indoor. 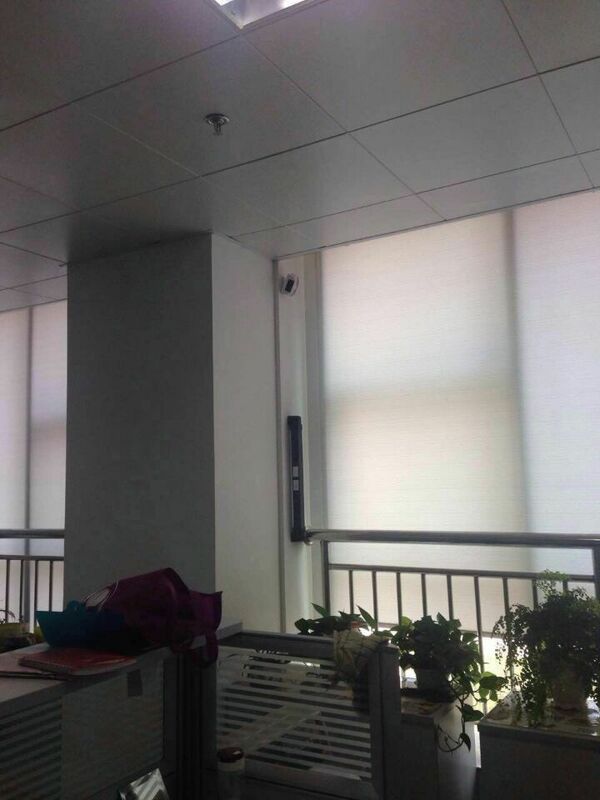 Wireless infrared grating is for protection of windows, balcony. It makes alert and alarm before intrusion. There are many large land areas which require protection for property, vehicles etc. 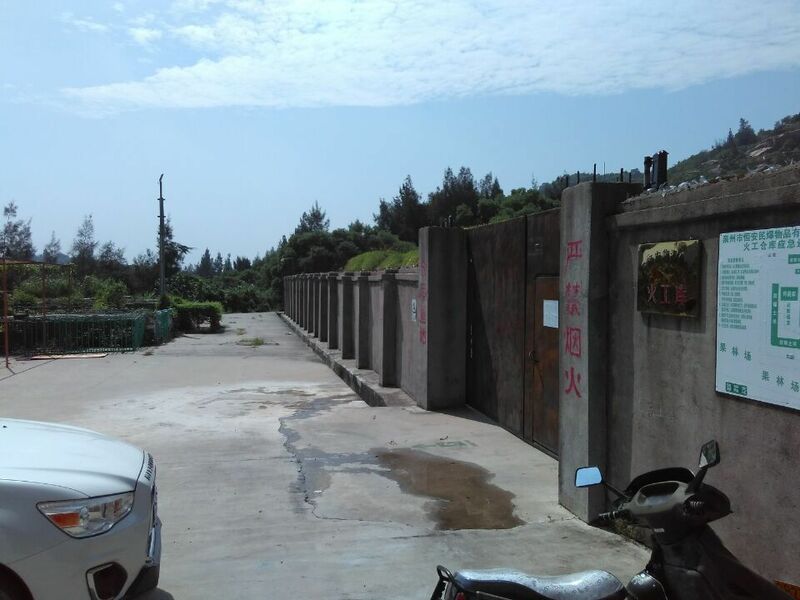 The areas are farm, pond, parking lot, garage, garden, park, forestry etc. Wireless beams work as invisible wall and alert intrusion with sound. Fire Security is the most important section of public safety. The fire system can detect dangers indication of fire and make sound and light warning on-spot. It reports to security service center immediately and fire can be prevented. 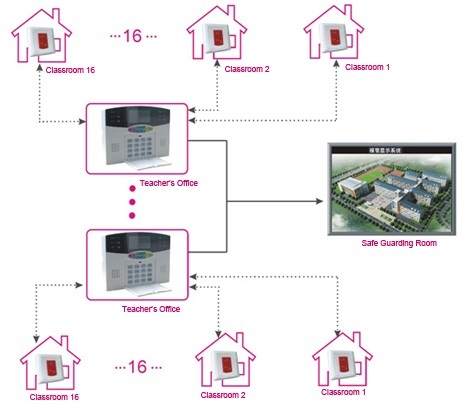 For protection of property and people in school, integrated security system is required. The security system should include CCTV surveillance, fire alarm, burglar alarm, emergency alarm and access control system. Without barrier but with higher security. The new community area design requires more open for communication and more strict for safety. 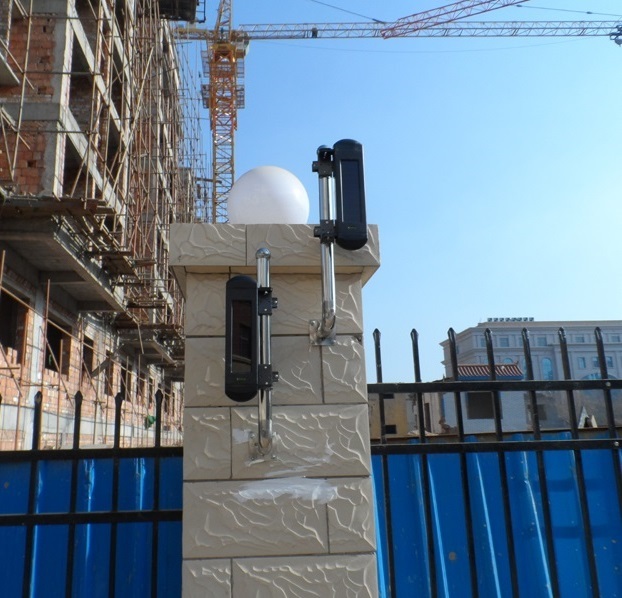 Garden light and IR detector is used as security equipment for private place. 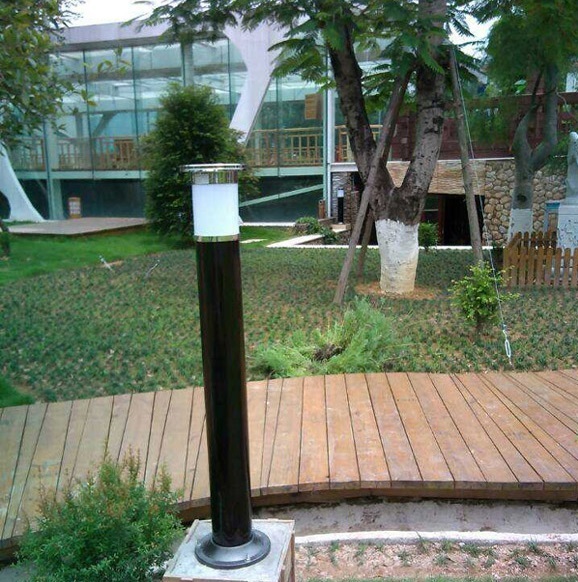 It is powered by solar energy and used as LED high brightness garden light as normal garden light. But IR detector is built-in for alert of illegal invasion. Firstly, fire alarm system is required by fire department regulations for hotel security. Moreover, intruder alarm system, perimeter security system and CCTV surveillance are required for high security areas. Comply with safety regulation, security systems are required for office and enterprise safety. 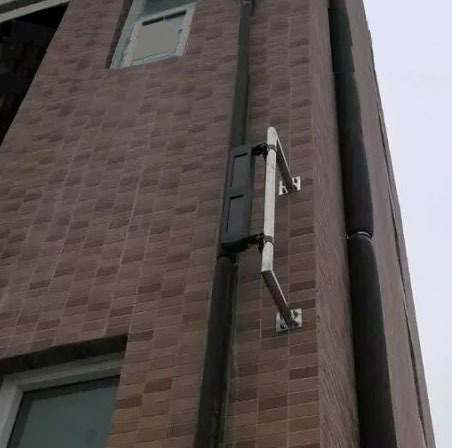 The security systems include fire alarm system, security camera, emergency alarm system, environment safety system and intruder detection system. The new analog fire alarm control panel complies with the provisions of both Fire Alarm Control Units and Automatic Control System for Fire Protection. 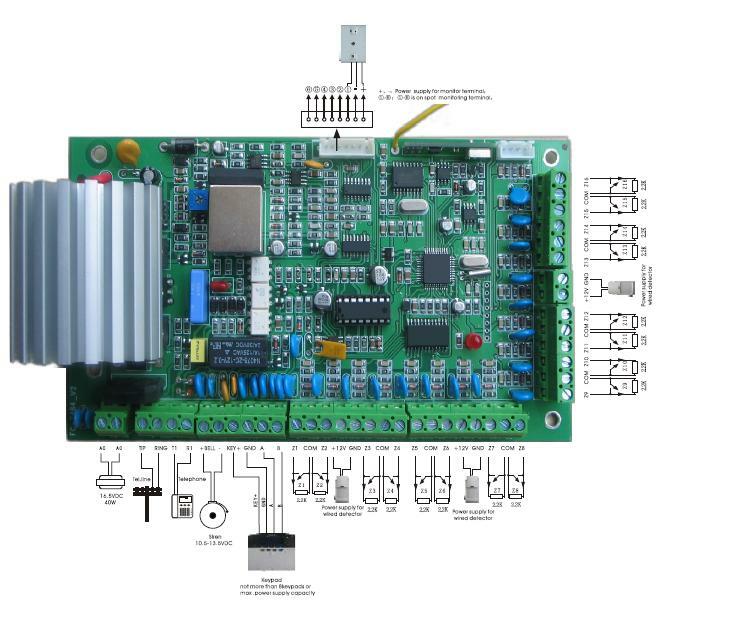 Intelligent microsoft processor and flexible input output module enables the alarm panel working with any security device. It is easy to be programmed for detection system and local notification system. 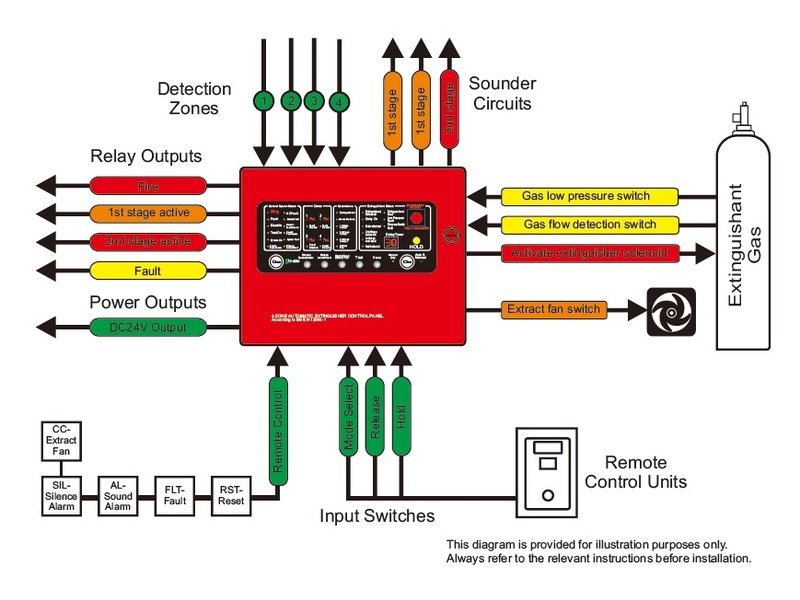 Addressable fire alarm control panel is with full function of fire system control and supervision. It can be automatic controlled or manual controlled. The system status can be viewed from the fire alarm LCD panel. The system make self check automatically. It can be reset or manual set self check every week. 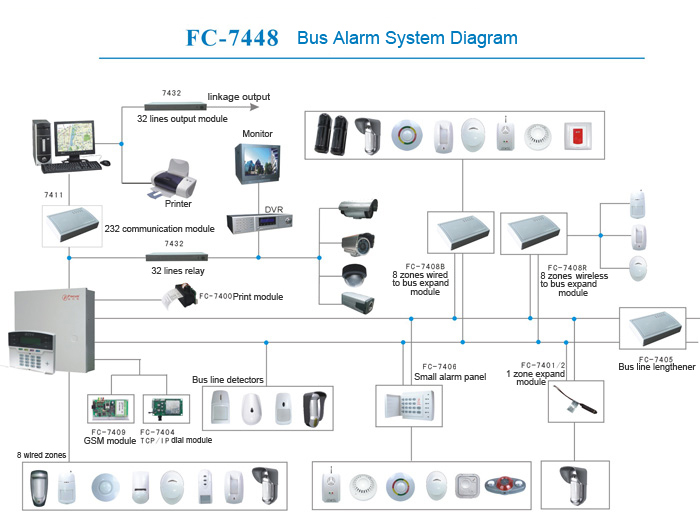 Community security or apartment security is monitored by bus type security system. Burglar alarm detectors, Smoke alarm, CCTV video surveillance systems, emergency call point are integrated. Bus type security system largely saved money and time for wiring. 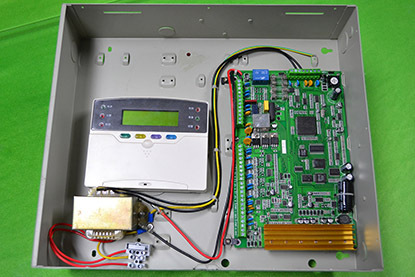 The alarm control panel works with PC via RS232 module. The community security monitor service includes perimeter security, fire security, intruder security. 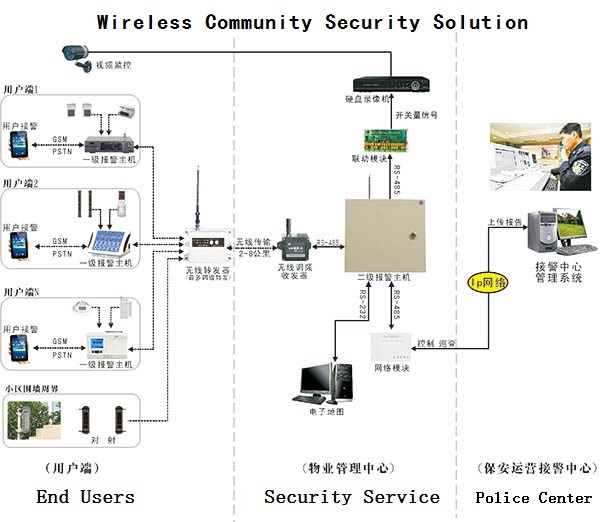 The security equipment includes end users' detection systems and alarm dialer, security service alarm receiver and monitor equipment and police center security information receiving and identification. The security system consists of wireless panic buttons and on-spot sounder, wireless receiver and dialer. The panic buttons are installed in each classroom and enable emergency calling. The on-spot sounder and lighter enable alert and warning of dangers. 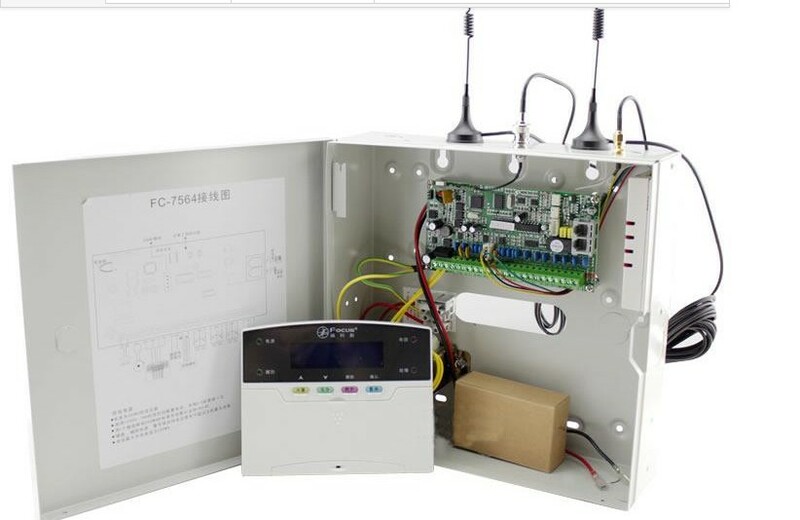 Wireless receiver alarm control panel is installed in security service center. It receives alarm event and enable reponse to the event. The home security system is not just for secure home but also for smart home. With built-in multiple network module, electronic switch and module, smart phone app, the security system enables home smart as well. 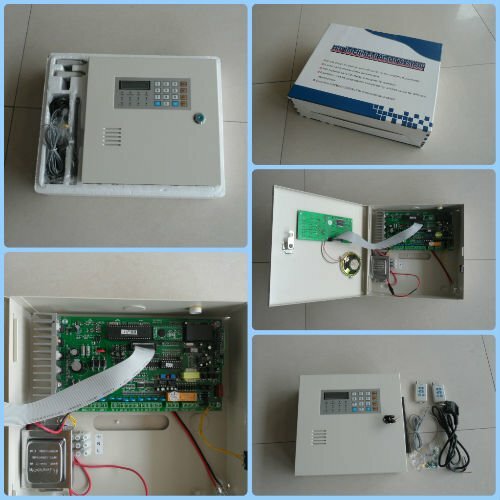 The fire security system combined fire alarm control panel and extinguishing system. It can automatically release fire extinguishing and activate solenoid electric valve, extract fan and igniting actuator. 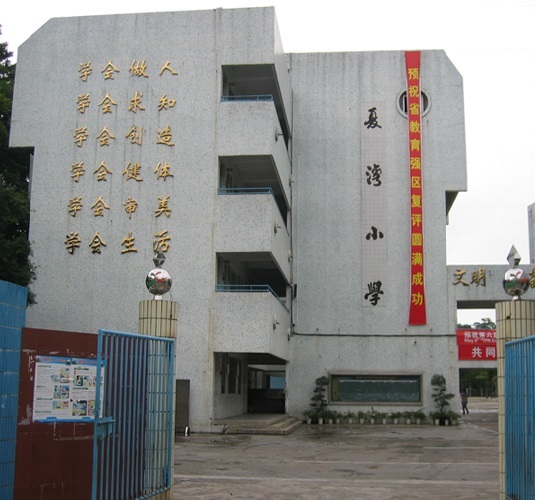 It is used for fire security of industry field, factory where toxic gas, flammable gas is generated. 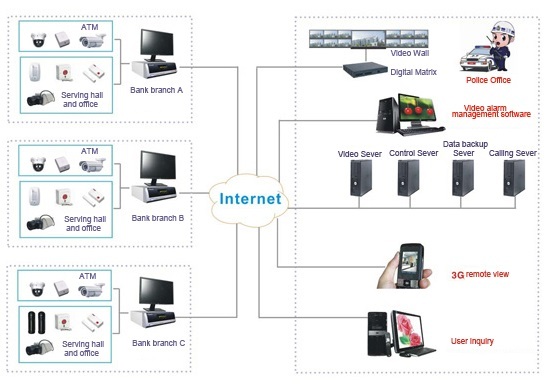 EAVS combined alarm, video, explorer and server in one security device. With the security device, the security area can be monitored anytime anywhere. The burglar intrusion, fire dangers, door open dangers can be viewed as evidence. Fast response can be made to stop crime and injury. Prevention is best protection. Before injury occured, we should predict the dangers and make precaution. Alarm system is such a preventive equipment which can predict dangers and make precaution. 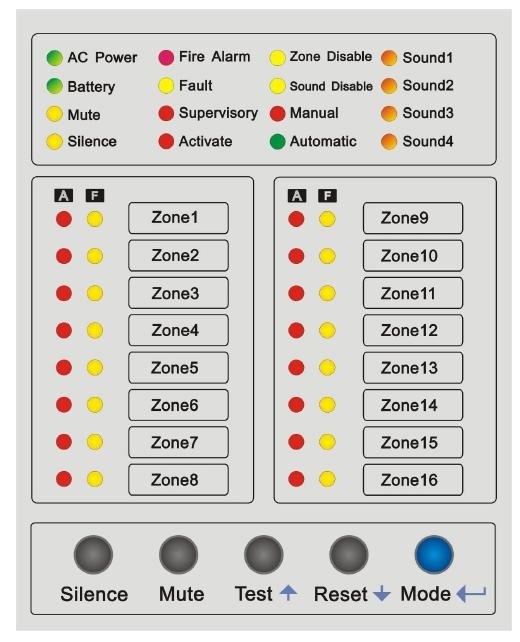 The bus system alarm control panel has large capacity for protection areas. It can have more than 200 zones of protection areas. Two-way communication feacture enables it receiving and sending information with detectors and users. 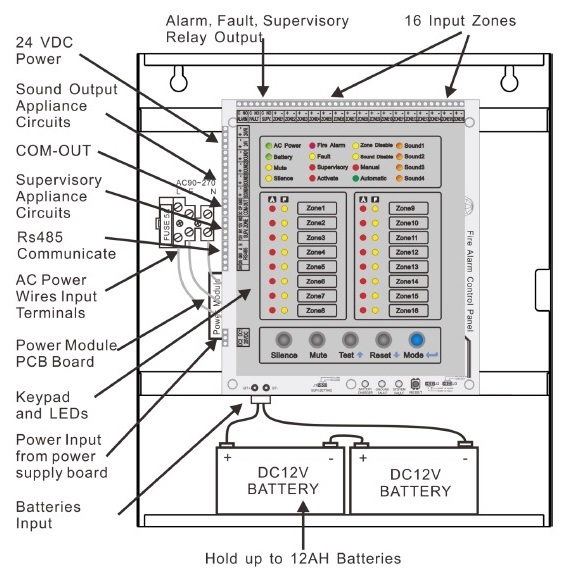 Wiring alarm system correctly to enable the security system work properly. Alarm System can be tailored. The intrusion detection sensitivity can be adjusted according to different environment. Tamper-switch should be connected to anti moving or destruction. With GSM module and SIM card, the alarm panel will sens SMS text message, MMS image message of alarm information to user. With GSM dialer, the alarm system can be totally wireless and be installed at any place. Alarm Communication and alarm dialer is used for security service. The security equipment is installed in shop, store and small business. It works with door contact, PIR intruder detector, glass break detector, smoke detector and gas sensor. 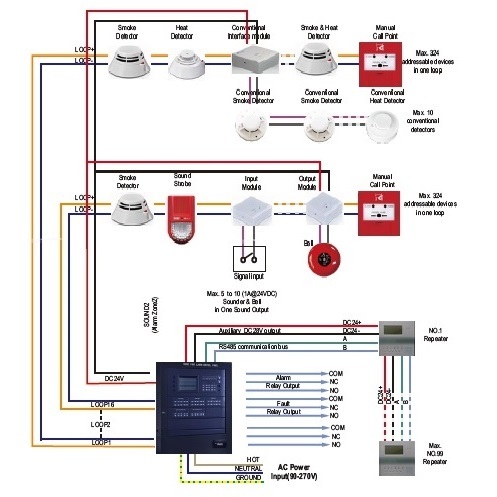 The fire alarm system connection includes detection circuit, sounder circuit, supervision circuit and other communication circuit. Smoke detector, heat detector and manual call point etc. are connected to input detection circuit. Alarm System Server is innovation of security system. 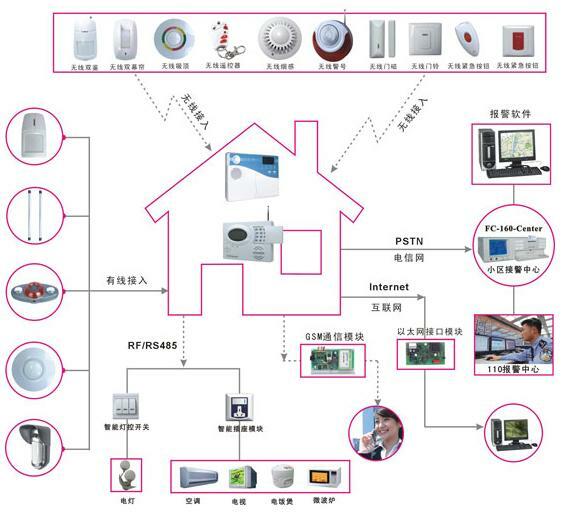 It is integration of alarm control panel with DVR. The EAVS alarm vedio server can connect security cameras, detectors and enable monitoring by PC or monitor. 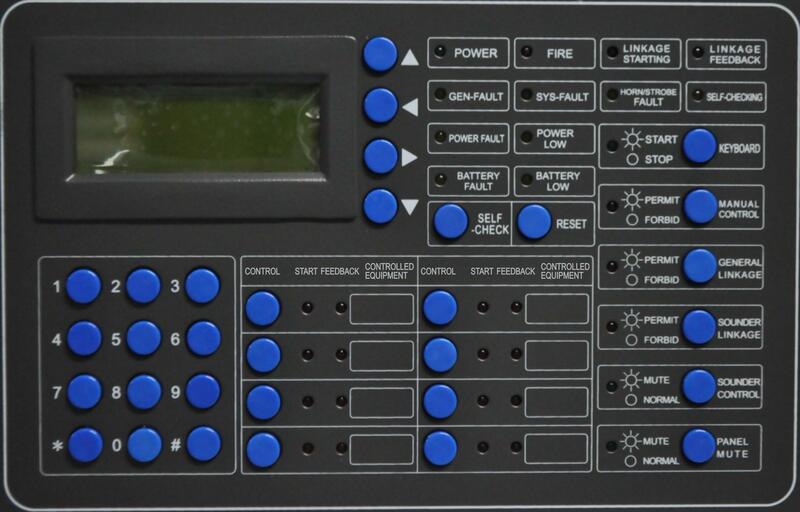 Fire Alarm Control panel is for fire system programming and fire system supervision. The fire system requires frequently test to ensure it works well. 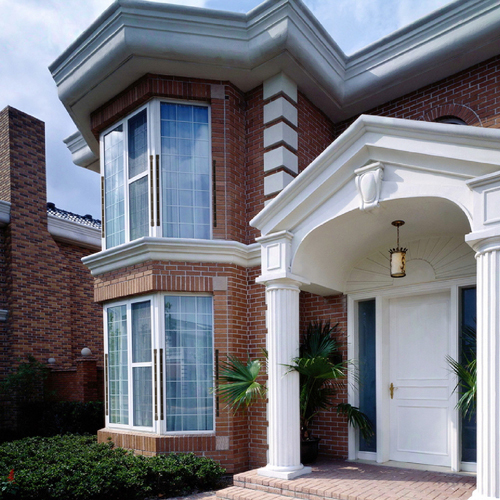 It is automatic security system and enables automatically response to prevent fire. Get free quotation for your project today.